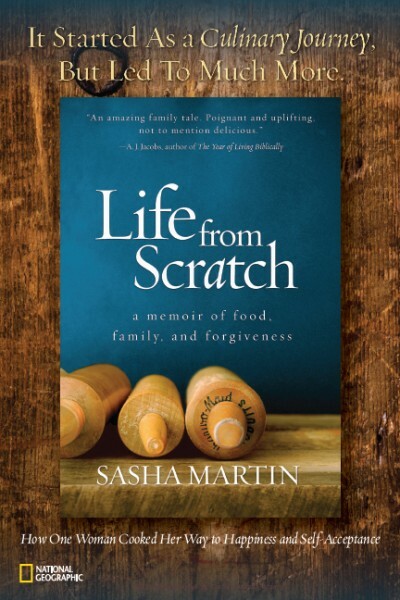 Borrow your mother, grandmother, brother, sister, father, grandfather. All of them! 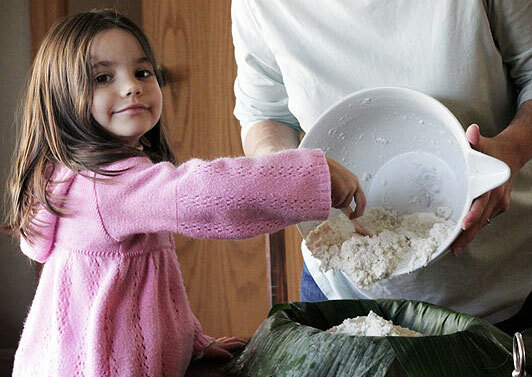 This recipe is best made with a gaggle of family, all chitter chattering and covered in flour. Perfect for a lazy Sunday afternoon. 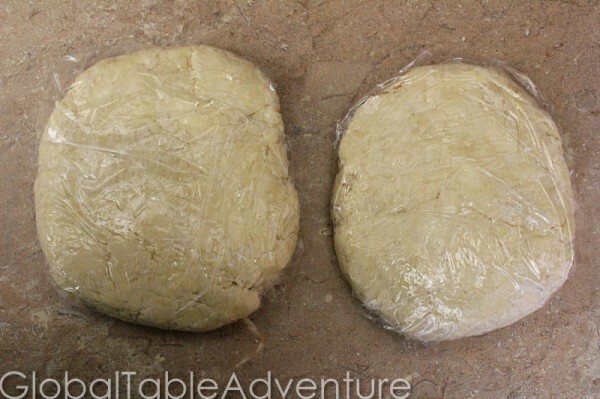 You can use this soft, pliable dough for any empanada (or pie, for the matter) – sweet or savory. We like it with our beef and apple fillings. 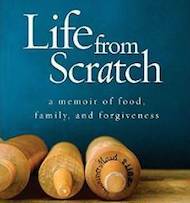 If you do make this recipe with family, have everyone take turns telling stories from their childhood. Get ready to laugh and, possibly, cry. 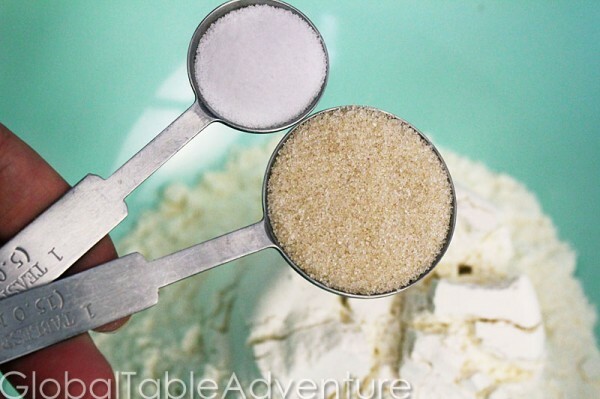 Whisk sugar and salt into the flour. 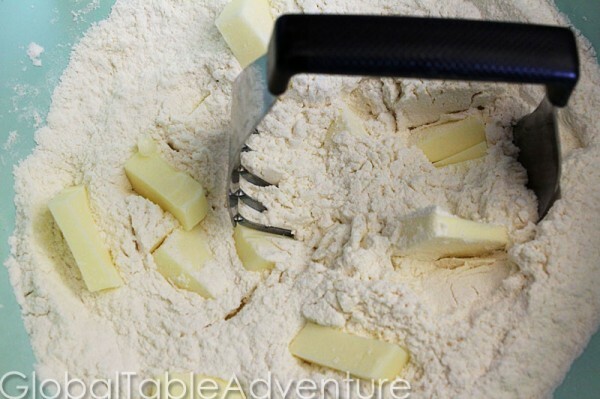 Using a pastry cutter (or two knives), cut the butter into the flour until it is pea-sized. Press together with your hands. It will be a little dry to the touch. Shape into 2 flatted disks, wrap in saran and refrigerate while working on your filling. 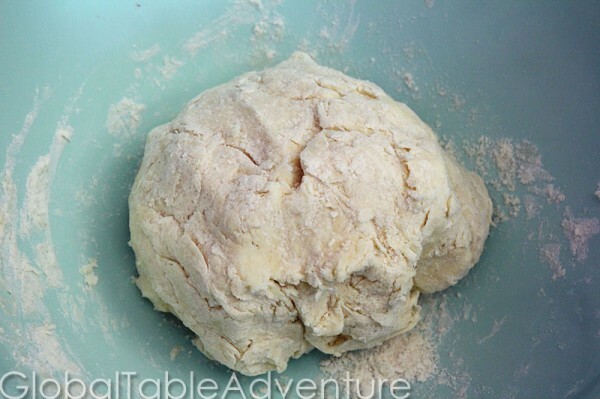 After at least 30 minutes, remove dough from fridge and roll thinly, on a slightly floured work-surface. Have fun! Now you can make beef empanadas or apple empanadas or… whatever your heart desires! 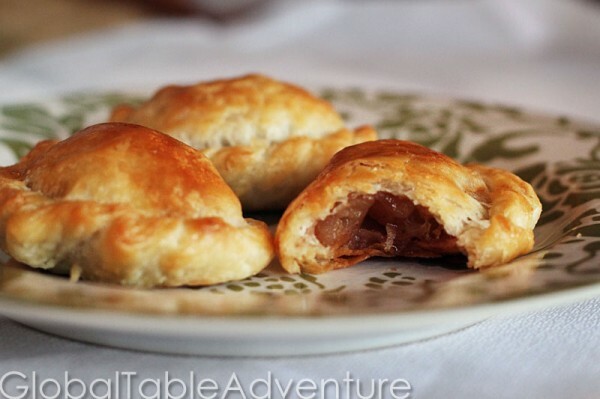 You might also be interested in How to repulgue an empanada. 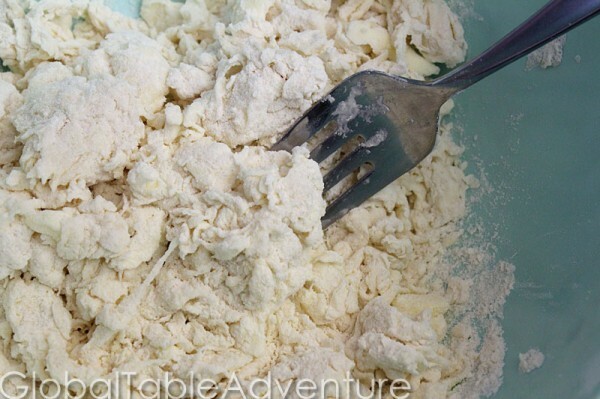 This recipe is best made with a gaggle of family, all chitter chattering and covered in flour. Perfect for a lazy Sunday afternoon. 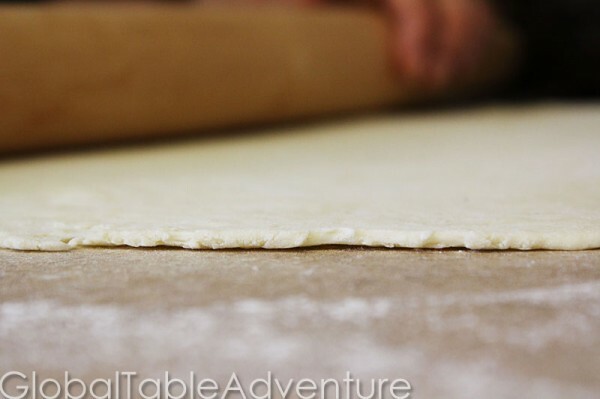 You can use this soft, pliable dough for any empanada (or pie, for the matter) – sweet or savory. We like it with our beef and apple fillings. 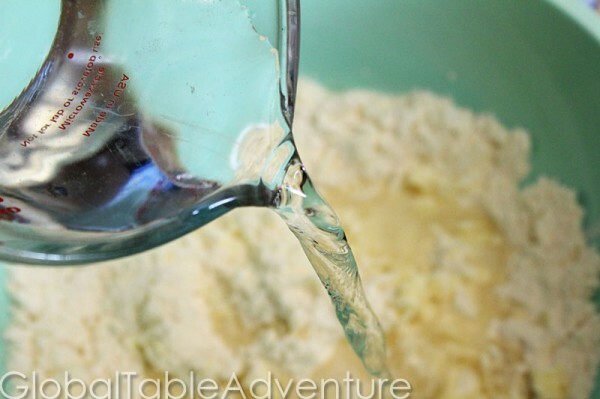 In a medium bowl: Whisk sugar and salt into the flour.Using a pastry cutter (or two knives), cut the butter into the flour until it is pea-sized. Add in water – a little at a time until a shaggy mass forms. Press together with your hands. It will be a little dry to the touch. Shape into 2 flatted disks, wrap in saran and refrigerate while working on your filling. 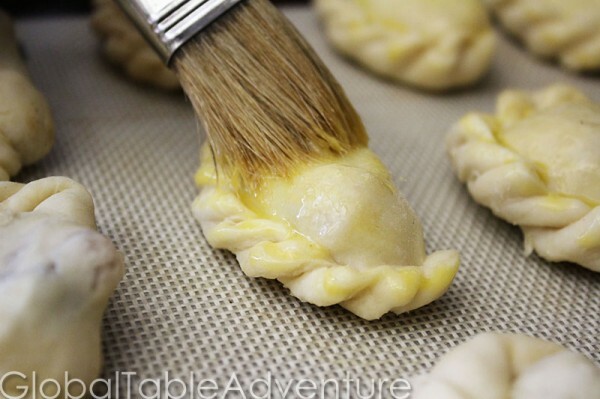 Now you can make beef empanadas or apple empanadas or… whatever your heart desires! This recipe doesn’t state oven temp to bake? ?